Some dogs are absolute stars when it comes to taking their medication. They’re easy going, don’t mind that you’re trying to disguise a pill in a lump of cheese or put drops of some foreign substance on their food. Maybe your dog is so chill he’ll eat a tablet right out of the palm of your hand!! This article is for all of you who DON’T have that kind of dog!! My sweet girl Red was one of those easy going dogs who couldn’t care less what you hid in her food, as long as she got to eat. I used to call her a vacuum cleaner because she would wolf down anything you put in front of her so quickly, she would literally inhale it. I’m sure many of you can relate to the stress and anxiety that comes with not being able to give a dog medication. I admit there were some days when it was impossible to give Red all the meds she needed, and I had to learn to not beat myself up, to forgive myself and accept I was doing my absolute best. Okay let’s get started with the advice you’ve come here looking for. Is your dog’s medication available in a different form? If pill giving has become a nightmare and your dog is not getting his medication more often than he is, have a chat with your vet to see if it’s available in a liquid. It can be squirted onto his food, a treat or even directly into his mouth. More on how to do that later. What about an injectable? Your vet can administer it and perhaps even you can! More on how to do that later on as well. 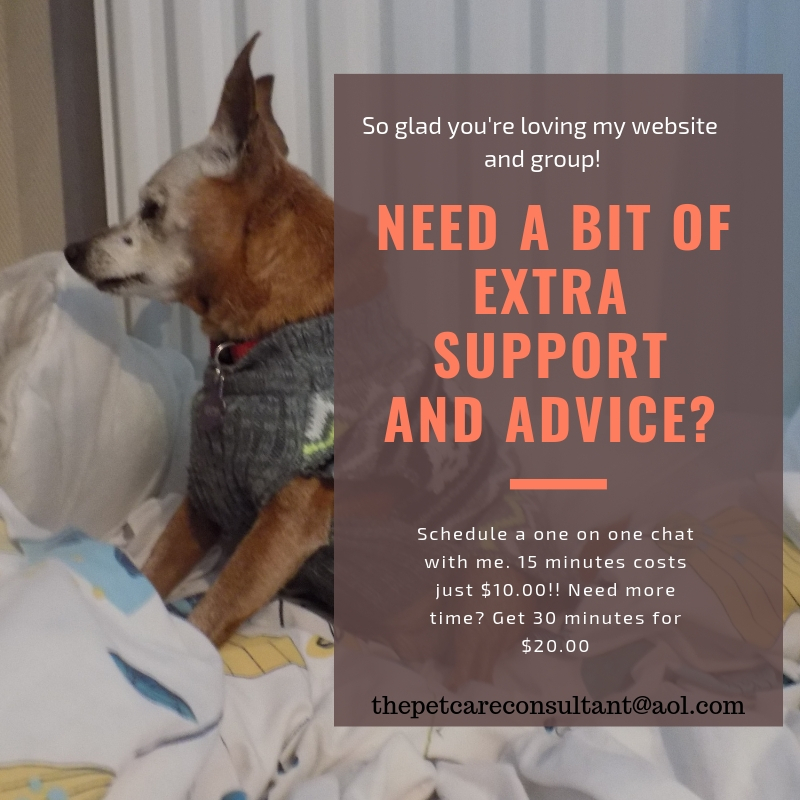 I’ve included my own tricks and tips as well as those from members of my Facebook group, Senior Dog Care Club . Hopefully you will find something here you haven’t tried before that will work. The “one” thing you finally find that works may not work forever, so having a list of “possibles” is a lifesaver. I know how frustrating it is, believe me I do I’ve been there, but try not to show it to your dog by yelling or getting annoyed, as challenging as that can be at times. You’re doing great! 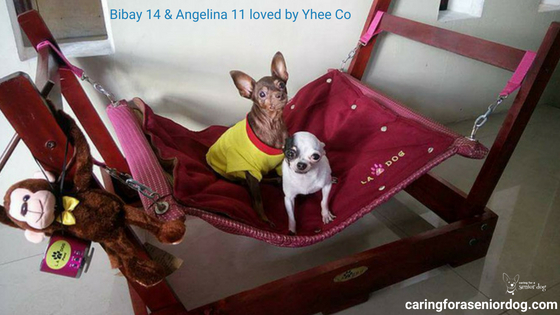 A fellow pet blogger shared this tip from her cousin’s vet, and I think it’s brilliant! Place a can of your dog’s food in the fridge to harden and chill, of a consistency you can scoop and roll into balls. Scoop out 4 tablespoons of the food, roll into little meatballs and put the pill into one of them. Start by giving your dog a meatball without the pill, then quickly give him a second one without the pill. Make it seem like fun and praise him like crazy. As soon as he swallows the second give him the third one with the pill in it, then the fourth. You can also make “real” meatballs, just be sure your dog doesn’t have any restrictions on the ground beef. I had a very clever and suspicious dog who seemed to know when there was a pill hidden in something, even when he didn’t see it happen. No matter what I tried he would refuse everything, until I discovered Pill Pockets and they worked like a charm every single time. We took a cue from our vet who administered the first pill he needed the other day. She buttered up the pill so it was slippery, then opened his mouth very wide and stuck it far back in his throat and closed his mouth. The combination of being so far back and slippery, he couldn’t do anything but swallow it. We have since used the technique successfully. Turkey meatballs work every time. Not feeding them for a while before giving them the meds so they get a bit hungry, and gobble the pill down with some food they really like. Mold liverwurst around it- my dog loves this! I freeze my girl’s pills in a little bit of ice cream and then pop them out as needed, give them to her and they go right down. Wrap in deli sliced cheese. Make a little ball of liverwurst with pill in center. If my dog won’t take it with peanut butter I just push it to the back of the throat. It triggers the involuntary swallow reflex and goes down automatically. We use low sodium deli ham. Thank goodness she loves it since she is on several pills a day. liverwurst; “meat play dough” (boil chicken, then puree it with flour and water until it forms a play dough consistency – fewer ingredients than store bought, more widely accepted palatability in my experience, can pinch off as much/little as you need, low fat, etc. ); or pilling. I have been known to resort to whipped cream to hide pills, though obviously not on a regular basis! I used banana this morning. Fold up in pieces of American cheese…. works every time. Nothing seemed to work for us. He would just eat the treat and spit out the pill. Then we started cutting up little pieces of bread, slathering them with mayo and wrapping the pill in there. I have no idea why that works. Sometimes watermelon works, too. Depending on the pill we crush into yogurt. When my dog wouldn’t eat I went to Petsmart and picked any food and treat. Well, it is the Bill Jac little soft treats that saved my life. I cut them in half and she eats all her meds with them. Bill Jac pumpkin treats for pills or small bits of whatever meat we had for supper. Wrapped in cheese or hidden in Vienna sausage seems to do the trick. In the past I used marshmallows, but she caught on to that one after a while. Peanut butter. They come running for pills. Dairylea cheese triangles. Just hoping no one ever tells him that they’re not meant to have a crunchy middle! As long as it is in any kind of food. No matter. Tuck it into a piece of Vienna sausage. A piece of banana makes a good pill pocket. Peanut butter or hot dog. I just open her mouth and push them in towards the back of her throat and massage her throat to help her swallow and then give her a treat. With a little piece of cooked chicken or tiny piece of cheese. My dog is really smart so hard to trick him. Bread crust rolled around a pill. Dave’s canned chicken & rice works for us. Right now the magic for Winnie is frozen yogurt. I put their pills in pork liver sausage. You can buy a “piller” at your vet’s office, pet supply stores and Amazon. It looks like a long, plastic tube with a plunger on one end and a rubber cylinder on the other, and is designed to hold different sizes of pills. 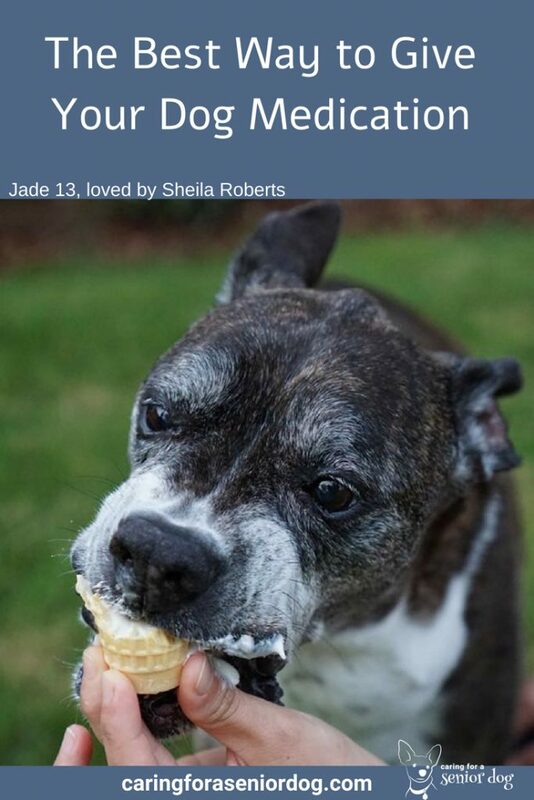 Once you place the medicine in the holding end of the piller and draw back the plunger, open your dog’s mouth just wide enough to get the pill all the way over her tongue to the back of her throat. 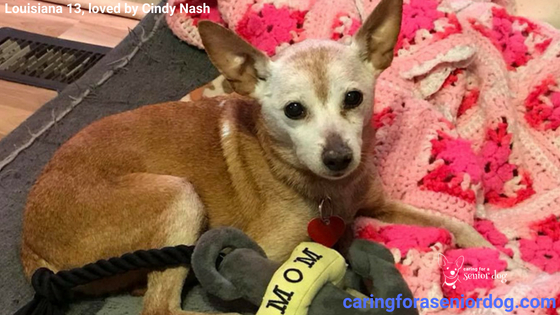 When the pill is in the right spot, push down on the plunger, quickly pull out the piller — making sure you’ve left the medication behind — and gently hold her muzzle shut. Point her nose to the ceiling and rub her throat to encourage her to swallow the pill. If you have trouble giving your dog pills, the same medication may be available in a liquid form, just ask your vet. The easiest way to give your dog liquid medicine is by using the dropper to put it onto a favourite treat, or his food. If you’re going the route of the latter option, squeeze it onto a drop of food to begin with. Putting it all over his entire meal then finding out he won’t eat it is not only a waste, it won’t do him any good as he won’t be getting the full dosage he requires. If your dog catches on to the “foreign matter” on his food or treats, you’ll want to squeeze the liquid directly into your dog’s mouth. The video below will show you how easy it is to do. Here are a couple of tips that will help in case he’s not being as cooperative as he should be. Your dog may prefer cold medication to warm or room temperature, so a few minutes in the fridge should do the trick, just check with your vet to make sure it’s okay to refrigerate. Add the liquid to stock made from boiling bones or even soup. Be sure the liquid is cooled off enough for him to drink and doesn’t contain unsafe ingredients. Sorry for stating the obvious!! If your dog is not cooperating, you’ll need to create some positive associations so he learns that great things happen when he sees the syringe. Start by showing him the syringe whether you hold it out for him or place it on the floor for him to explore. Give him a treat when he’s sniffing around it and seems calm. Once he’s comfortable seeing the syringe, or more accurately ignores it when you take it out, why not put some peanut butter or squirty cheese on the tip of it and let him lick it off. Practice in short sessions several times a day until he’s fine with it, then you can try his medication. While there are many ways to give your dog a pill, a shot is a shot although there are ways to make it less stressful, and maybe even okay. Have your vet, nurse or vet tech show you how it’s done, and ask for their best tips and tricks to make it as quick and painless as possible…for everyone! Be sure to practice, practice, practice on things other than your dog, in order to build up your confidence and perfect your technique. A stuffed toy or piece of fruit are great substitutes. 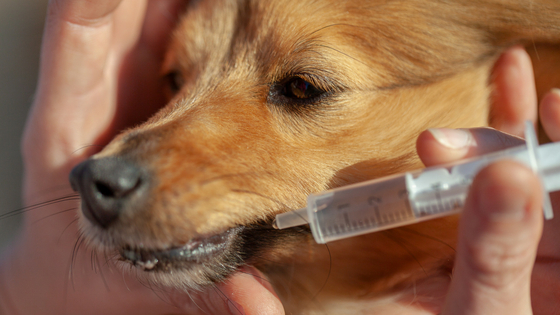 Here are various things people do in order to give their dog an injection. Not every one will work for your dog, so as with most things it can be a case of trial and error. Give your dog his shot after a walk or play time when he’s tired and less likely to react. Feed your dog a super delicious treat before, during and after. Do it right before he’s about to have his meal. Hide the needle so the dog can’t see it, then “stick him” quickly. Desensitise him to the sight of the needle so he doesn’t fear it by letting him see it, sniff it then giving him a favourite treat or toy, creating only positive associations. Lie down on the couch or floor with your dog, pet him with one hand and inject him with the other. Bring the needle on your walk and give your dog a shot while he’s out and distracted. Don’t make a big deal out of it, just do it and move on. Insulin is kept in the fridge and it seems when cold it can sting, so warming up the loaded syringe, under your arm for example, might help. Rather than always giving the shot in the same spot on your dog’s body, change the location where it is administered. Have your vet show you other suitable areas. Insulin needles are quite small so your dog should hardly feel a thing. If it seems to hurt, or the needles don’t look small, check with your vet to make sure you were given the correct size, or if you could possibly go smaller. Use a VetPen for greater ease and accuracy. An auto injector can make giving shots easier. I know it can seem a bit scary giving your dog eye medication, especially if he’s not too fond of you coming at his eyes with a bottle in your hand! It’s perfectly normal to be concerned, okay even freaked out, but you will get the hang of it. Naturally I suggest you have your vet demonstrate how it’s done. Ask as many questions as you need to understand the best technique when it comes to holding him and administering the drops or ointment. Practice while you’re there so you feel comfortable doing it. Over time you may find a different technique that works better for you and your dog. My dog Jack needs eye ointment twice a day for life. He was mistreated in his previous home so you can imagine how coming at him with something in my hand would freak him out a bit. It took some practice to find the routine that works best for us, and here’s what it is. Because Jack has a schedule he knows what happens when, and I also tell him what’s happening before I do anything. In this case I say “Jack let’s do your eyes.” I’ve said it so many times he knows that means going to my husband who picks him up, puts him on his lap facing me. He puts a muzzle on from behind his head, and I put the eye ointment in very quickly. After I’m done Jack gets 2 or 3 small treats and he’s happy. It helps that he is extremely food motivated, so he’s willing to sit still for the few seconds it takes. The key for us is speed. Everything has to be ready in advance, and no fuffing about. I don’t get it perfect every time, on occasion it ends up on the fur above his eye rather than directly in it, but if it happens it happens. I don’t try again because I don’t want to freak him out. If your dog needs a “one off” application of ear meds, it’s easy enough for your vet to do it in the office. However that is very rarely the case so this is something you’re going to have to learn to do at home. Have your vet show you, then practice at the office to make sure you’re getting the hang of it. You’ll want to be clear on how far into the ear you have to go, or not go. If he’s a bit snappy you may need to use a muzzle, or perhaps his favourite food will be enough to keep him still. Having someone else present to distract him may also work. Many years ago I had a cat with kidney issues who needed fluids on a regular basis. Since it wasn’t convenient or cost effective to keep bringing her to the vet, I had no choice but to learn how to do it myself. I am extremely squeamish so it was not easy for me to take that step. My cat was pretty much okay with it, so I was able to manage on my own, although that would not have been the case if it had been any of the other felines in the family!! I found the best place to give Mini fluids was the kitchen. There was plenty of room for a blanket or cat bed on the counter, and the IV bag would hang off a cabinet doorknob. It was simply a matter of pinching some skin on the back of her neck and inserting the needle. The first few times were a bit gross to tell you the truth, but I got used to it. I had the vet show me how to set it up and insert the needle, but I found I needed some extra help and a little moral support once I got home and had to tackle it on my own. My cousin had quite a bit of experience giving fluids so he kindly came over and helped. Make sure your vet, nurse or vet tech guides you before you leave there, and if you have any questions or are feeling unsure, call and ask for help. Follow the technique they show you, but over time and with experience you may find a way that works better for you and your dog. So there you have it, my guide to the best ways to administer all sorts of medications to your dog. What tips do you have to give your dog his meds? Sharing helps others so write them in the comments section below. 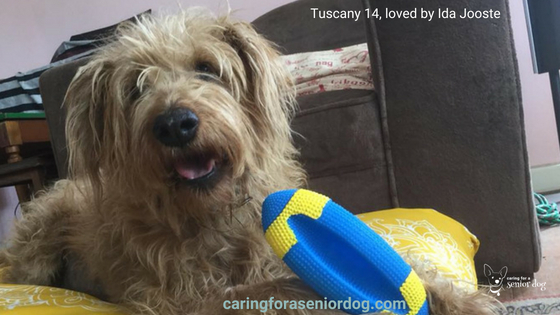 Sounds like you’re so fortunate Layla isn’t too fussy, and you’ve found something she loves. I wish Jack was as easy going about getting his eye drops as your pup is. Glad to hear your dog is easy going about taking his medication. I had two cats who were on thyroid pills for years, and the only way I was able to give it to them was to hold each one in one arm on their back, open his or her mouth with one hand and drop the pill in. You reminded me about the gel but it was never an option for either of them, although all these years later I don’t recall why not. Great post! I lucked out with my current oldest dog, he LOVES eating so it’s pretty easy to get him to take meds as long as I use some type of food. My younger dog is a bit more difficult, but we can usually find some tasty treat to help get the job done. Lol it’s silly but with my younger dog, sometimes if I pretend to eat the medicine myself or act like I’m going to give it to my other dog instead of him he suddenly decides he really wants to eat it. Thank you and you are definitely lucky!! That’s funny how you have to pretend to take the meds, but it makes perfect sense. I know in our case Jack is always more interested in what we’re eating, even if it’s only a piece of bread compared to his tasty healthy dog food! Great tips! The videos were especially helpful. These are really great tips. Giving meds to my two cats is always a feat to be accomplished. Luckily, Lola is the one who takes meds and she’s “easier” to pill than Lexy. I use a pill masker and it really helps. Thank you. You are fortunate the cat who needs meds is easy going about it. My cats never were, no matter how I tried to hide their medication. Imagine having to give them pills every day for life! I had to resort to holding them in my arms, on their back, opening their mouth and throwing the pill down their throats. Quick and effective! Wow you have so many clever tips!! So many of these I would never have thought of. I’ve never owned a dog however totally understand that sometimes you “tried and true” method may no longer work. For me when my girls were alive, I’d hide food in Pill pockets and that seemed to work. If all else fails I’d crush up the pill and mix in with Fancy Feast. They loved that stuff. My cats also loved Fancy Feast! Wow, this is a really thorough roundup of tips to give pets tbeir medications! I see you included my pill meatball technique – I’m flattered! If one of these methods doesn’t work, nothing will LOL! I love the photos of your dogs, especially Red, they’re so sweet! I had to add it Cathy, it was such a great tip! Luckily my dogs don’t need medication very often, and they are pretty good about taking their pills. However, I know that can change as they get older. The videos are very helpful. It certainly makes things easier when they cooperate, but great to know there are lots of options should the need arise. I thought the videos would be helpful, particularly for anyone who hasn’t had to give medication before. Compounding pharmacies seem to be an invention of the century. One of them will even keep on trying formulations until they get one the client’s dog will accept. Jasmine would not be fooled no matter what; she had to be pillinated manually. Cookie accepts pills hidden in soft thing–things I know she wouldn’t chew. E.g. peanut butter or cream cheese. Some animals love food so much they don’t care what’s in it, others don’t like to be deceived!! The worst for me were the times Red wouldn’t eat, and there were days when she wouldn’t get her medication. Being blind she would get stressed so I couldn’t force anything down her throat, and I chose to let her be in peace during those times, but always kept trying to give her pills. Excellent information! Truffle has always been pretty easy to pill and put medication in her eyes. Brulé, however, is another story! It was a major battle trying to get medication enter her up until this year when I discovered the Tomlyn Pill Masker. It is a lifesaver! This is the first I’m hearing about this product, no one has ever mentioned it before. Thanks, I’ve added it to the post for others to see.